I enjoyed watching this little girl play at the beach at low tide at sunset. 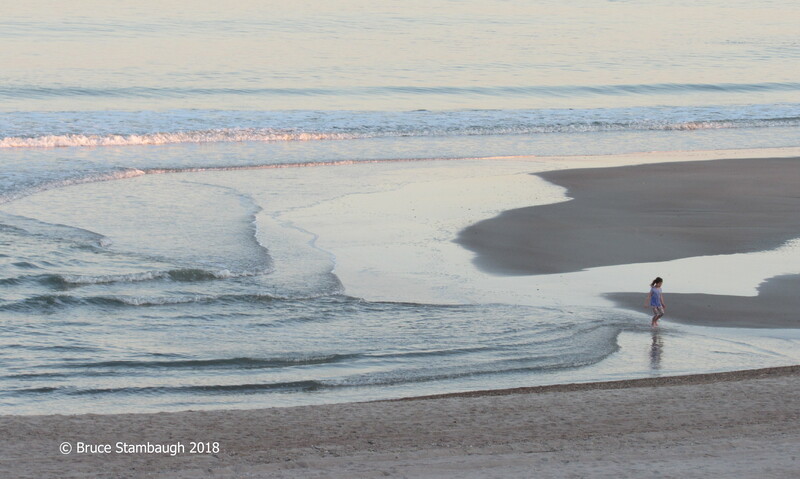 With the setting sun reflected in the soft waves, I loved the movement captured in this photo. It’s as if the girl had the ocean tied to her ankles, pulling it in towards the sandy shore. With apologies to the late Pat Conroy, “The Princess of Tides” is my Photo of the Week. Great photo Bruce, really, really cool!!!!! !